Dimensioni di questa anteprima PNG per questo file SVG: 360 × 359 pixel. Altre risoluzioni: 241 × 240 pixel | 481 × 480 pixel | 602 × 600 pixel | 770 × 768 pixel | 1 027 × 1 024 pixel. 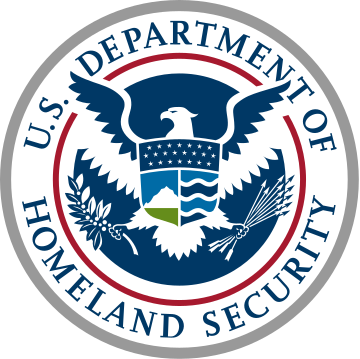 English: Seal of the United States Department of Homeland Security. A graphically styled American eagle appears in a circular blue field. 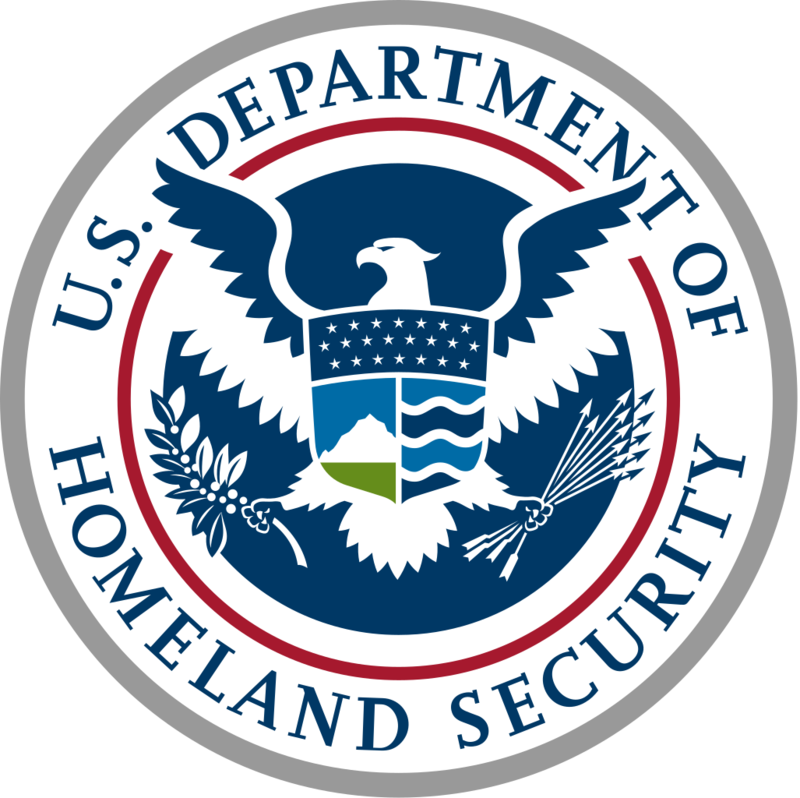 The eagle's outstretched wings break through an inner red ring into an outer white ring that contains a circular placement of the words "U.S. DEPARTMENT OF" in the top half and "HOMELAND SECURITY" in the bottom half. The outer white ring has a silvery gray border. As in The Great Seal, the eagle’s left claw holds an olive branch with 13 leaves and 13 seeds while the right claw grasps 13 arrows. Centered on the eagle's breast is a shield divided into three sections containing elements that represent the homeland "from sea to shining sea." The top element, a dark blue sky, contains 22 stars representing the original 22 agencies and bureaus that have come together to form the department. The left shield element contains white mountains behind a green plain underneath a light blue sky. The right shield element contains four wave shapes representing the oceans, lakes and waterways alternating light and dark blue separated by white lines. Autore DHS, as noted below. Questo sigillo è stato creato con Other tools. This image or file is a work of a United States Department of Homeland Security employee, taken or made as part of that person's official duties. As a work of the U.S. federal government, the image is in the public domain in the United States.